US Secretary of State Mike Pompeo said in an interview on Thursday that Washington's key priority would be to avoid a regional massacre between the Turkish military and Kurds. US National Security Adviser John Bolton said Sunday that the US didn't want Turkey to take any military actions in Syria unless they're fully coordinated with Washington. 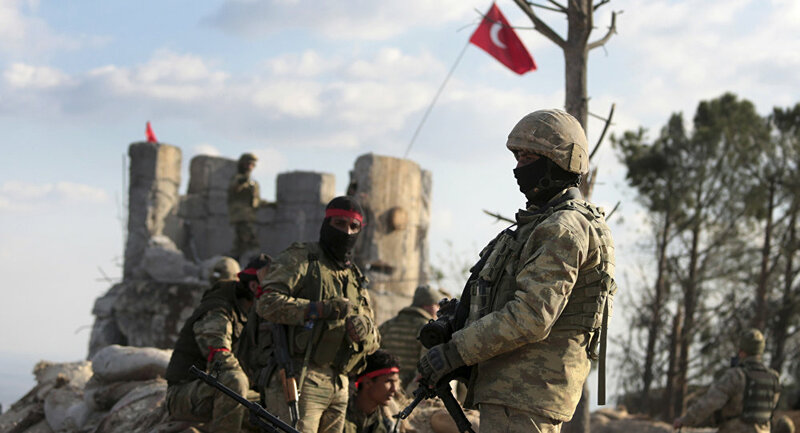 "We don't think the Turks ought to undertake military action that's not fully coordinated with and agreed to by the United States, at a minimum so they don't endanger our troops, but also so that they meet the president's requirement that the Syrian opposition forces that have fought with us are not endangered," Bolton told reporters, as quoted by the NBC News. Speaking further, the senior official said that the US would withdraw its forces from Syria only if Turkey provided assurance to protect Kurds. "There are objectives that we want to accomplish that condition the withdrawal," Bolton told reporters during his visit to Israel. "The timetable flows from the policy decisions that we need to implement." Commenting on the US position on Turkey's role in Syria, Erdogan's spokesman said that Ankara only targeted Daesh and Kurdish YPG, which Ankara regards as a terrorist organisation, but not all Kurds. US President Donald Trump has faced tremendous pressure to protect US-backed Kurdish forces belonging to the People's Protection Units (YPG) in Syria, the most effective American-backed force in liberating the city of Raqqa and other areas seized by the Islamic State terrorist group (banned in Russia). Senator Lindsey Graham, a critic of US withdrawal plans, has also said that Trump personally assured him that the fate of Kurdish militias would be considered in withdrawing American forces.